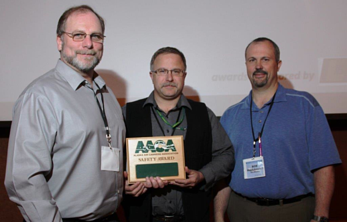 Alaska West Express received the Alaska Safe Truck Fleet Most Improved Award at the Annual Alaska Trucking Association (ATA) Safety Awards banquet in Anchorage. 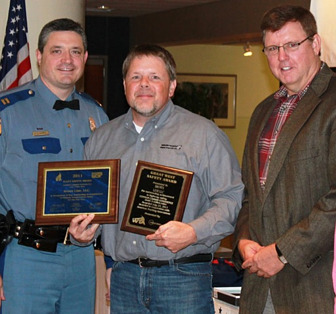 The annual Most Improved Award is presented for the safety record based accident rates from the previous year to the current year. 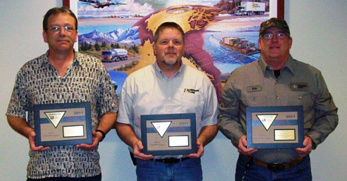 "ATA is pleased to join with ConocoPhillips to recognize the achievement of Alaska West Express in improving their safety performance over the past year," says ATA Executive Director Aves Thompson. 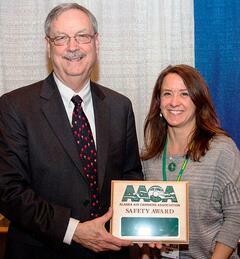 "Safety on the highway and in the workplace is the highest priority for our industry. 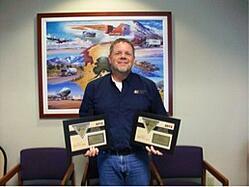 Alaska West Express is a fine example of practicing what we preach." "This is a total team effort by all managers, drivers and mechanics," explains Alaska West Express Safety Director Jim Maltby. "Our employees have worked hard and deserve all the credit." 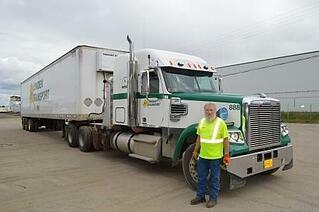 Terminal Manager Al Guettinger agreed. 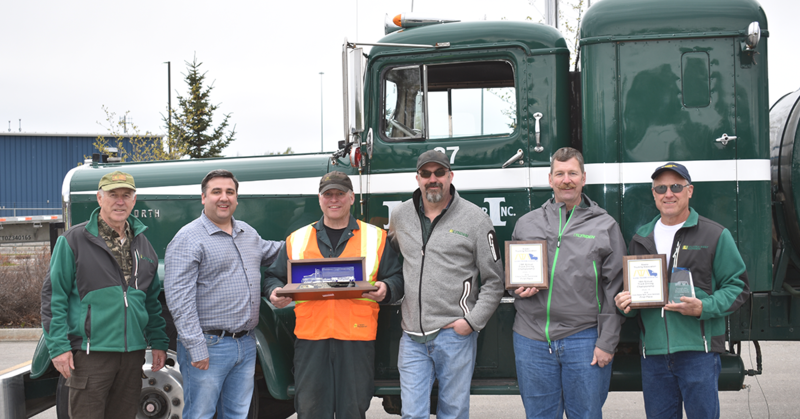 "I echo Jim's appreciation for our employees' efforts and greatly appreciate ConocoPhillips' interest in the transportation industry and its sponsorship of this award." Pictured (from left): Wendy King, ConocoPhillips Vice President External Affairs, Steve de Albuquerque, ConocoPhillips Interim Manager of Safety, and Al Guettinger and Scott Hicks, Alaska West Express Terminal Managers in Fairbanks and Anchorage.